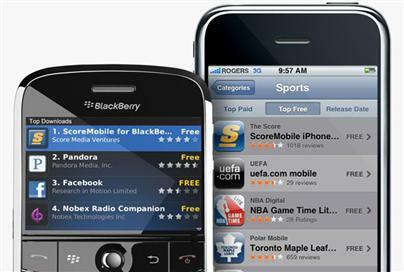 We recently posted about the success of the ScoreMobile iPhone app in both Canada and the USA. 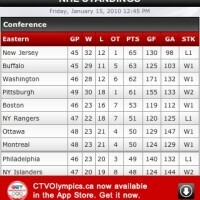 Well, recently TSN quietly launched their own iPhone app and after a few minutes with this app, it’s definitely a keeper. 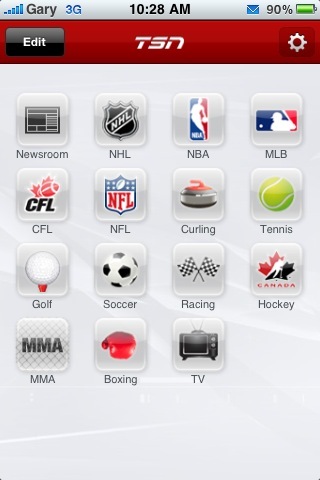 Upon launching the app, there is a clean layout of all major sports leagues such as the NHL, NBA, NFL, MLB, plus golf, racing, curling, tennis, Team Canada hockey, boxing, soccer, and even MMA! Just tap each respective icon and you’ll be directed to a new screen that lets you browse scores, stats, standing, and news. You can also customize the homescreen and create favourite teams. 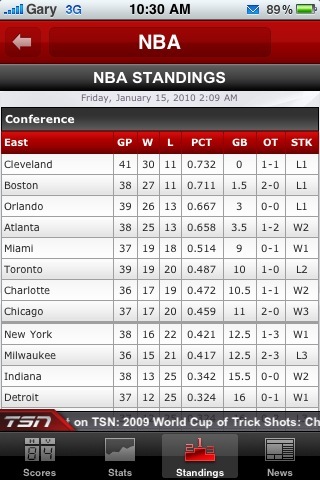 Also, the app uses your location to properly adjust the start times displayed for all games. This feature will be much loved since some people are scared of time zones. 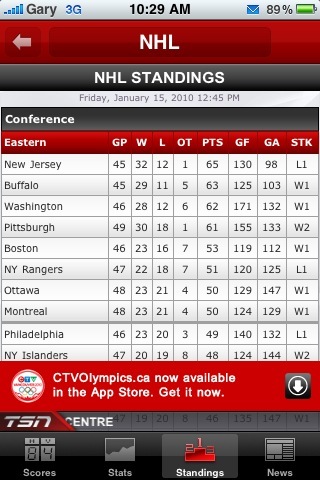 What’s really neat about the TSN iPhone app is that it also includes TV listings! You can see full listings for TSN, TSN2, NHL Network, and ESPN Classic. There’s a small ticker along the bottom that displays what’s currently playing on the network. Pretty neat. You can also check out the twitter feeds of notable TSN commentators like Bob McKenzie, Darren Dregor, plus more (personally I find all TSN commentators (Michael Landsberg still rules) dry, boring, and unexciting. Pierre McGuire: please lay off the Red Bull!). There is also a direct link to TSN blog articles and breaking news. 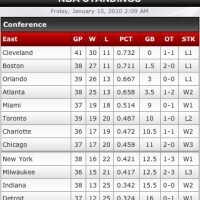 All in all, the TSN iPhone app is definitely worth the download as it’s really easy to navigate and quickly find stats from any sport. Future upgrades include video highlights and live games. 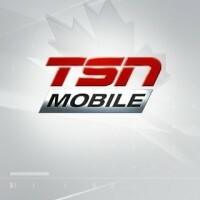 Click here to download the TSN iPhone app. Let me know what you think!